A gang of cold callers nicknamed "The Wolves of Wind Street" have been jailed after conning hundreds of people in a bogus boiler scheme. 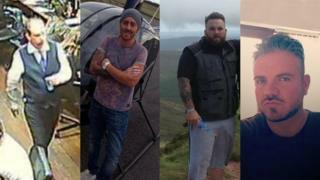 The four Swansea men conned customers out of £425,000 in four months. Kyle Lewis, 30, Darren Palmer, 43, and David Alford, 33, were jailed for three years and seven months. Jason Cunliff, 42, will serve 18 months. Judge Geraint Walters, sentencing at Swansea Crown Court, said the group deliberately targeted older people. The men had been convicted of conspiracy to defraud at an earlier date. Lewis, Palmer and Alford were all company directors at REC Home Audits, while Cunliff was the compliance manager. The court heard that staff were ordered to use pressure-selling tactics to convince their elderly targets to invest between £299 and £399 in new "government scheme" boilers, which never arrived. In text messages they referred to their victims as "pension-rich suckers," and spent the money they took from them on a "champagne lifestyle", buying sports cars and drugs. The group nicknamed themselves the "Wolves of Wind Street" after corrupt bankers from the film The Wolf of Wall Street. Lee Reynolds QC, prosecuting, said that customers were told they would receive a "free boiler" from a government scheme that "did not exist". In reality, all they got for their £299 was an energy survey of their house, which would have cost about £30, the court heard. He said the gang had inspired an "unprecedented" number of complaints to Trading Standards from customers, who were mainly based in Wales. 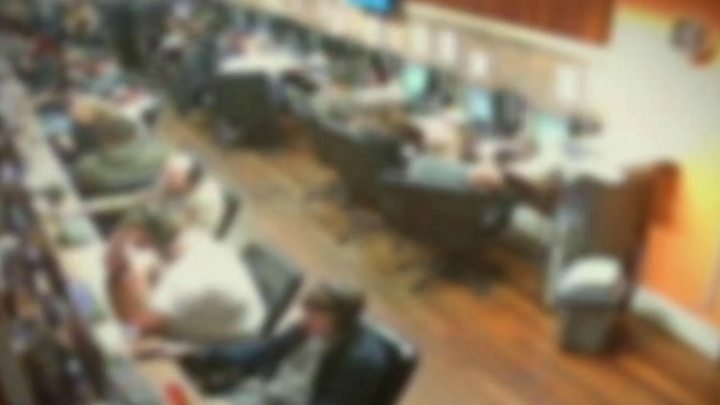 CCTV obtained during a four-year investigation by Trading Standards showed staff shouting about how they were motivated by "money" during training drills. The court heard the gang was looking to expand into PPI cold calling when their officers were raided by Trading Standards officers in July 2015. Judge Walters said the group had deliberately targeted older people, who were viewed as softer targets, and "got a taste of the high life". He said: "Your sales team showed themselves to be shamelessly untruthful, but were very good at getting customers to part with their money."